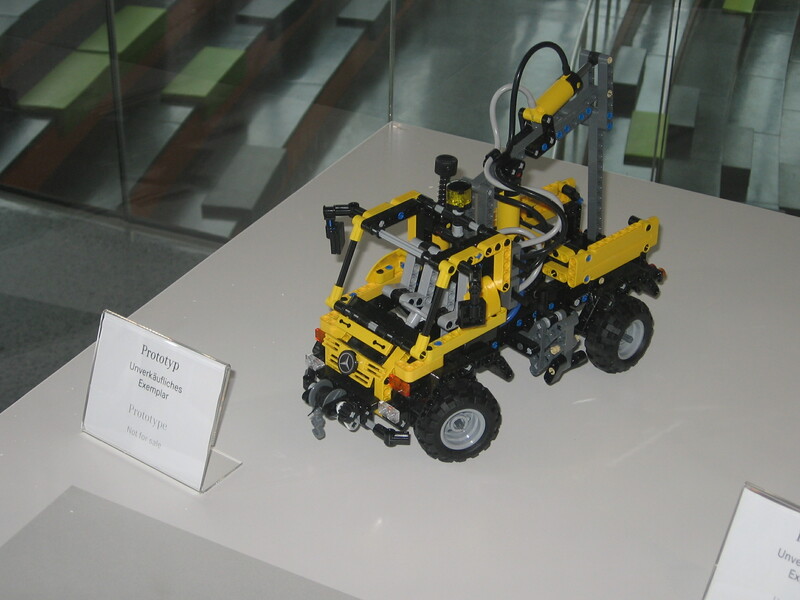 Seen the 1H14 LEGO Technic sets, together with the rest of the portfolio for the 1st semester few days ago. At this point obviously any pictures or official watermark images are still not allowed. The Dog Bone beam (LBG) is a new type of beam/frame. A 3x5 beam with a form similar to a dog bone. Somehow resembling the recent Technic frames like the 5x11 (64178). Long axle pin with friction ridges (in DBG). It is a 3L pin similar to 43093, but with double length on the pin side (2+1L). A very useful element IMO, which I've been missing occasionally when building with Technic. A new type of worm gear with 3L overall (DBG for the pre-production seen in one model, LBG as seen in the catalog). It has axle bush connectors at each side, hence it does not have the sliding function from the traditional 2L worm gear (4716) anymore. The worm gear itself is quite shorter than the former one and it is placed in the center module. Given the differences between them, I think it is unlikely that the new element came to replace the previous one. Steering arm with rounded towball socket (LBG), similar to 57515 but in a single beam form factor. I mean 1L wide, hence no fork shape like in previous steering arm elements. New type of connector that works with the new steering arms above (Black colored). A small element not easy to describe as I don't remember all the exact details, but it has a 3L shape with one pin-hole in the center. Steering gear (Black if I remember right), similar to 32186, but where the 3 ball joints connect directly to the center pin-hole, instead of two and one third with 1L displacement. All in all, the new steering elements will allow to easily add steering functions, into even smaller classes of LEGO Technic vehicles. A new type of Tire for the 56145 wheels (30,4mm x 20mm), with higher profile and a tread similar to that on 32019 or the much larger 92912 Unimog tires. The same approximate proportions and appearance in a smaller tire. Didn't remember to memorize the tire dimensions, usually embossed at the side of some LEGO tires like these. And finally new 3 x 11 Technic panels (White). The same we have seen images some years ago, used into an early prototype of the 8110 Mercedes-Benz Unimog U400 . Additional to these there are also some other existing elements now released in new colors. However we will talk about these along with the description of each model below. The boxes were really early mockups, and some elements in these were notoriously not correct. It was for instance the case of some typical 1:1 scale illustrative elements at one the side of these boxes, and some text filler descriptions. Also there were some noticeable differences, between the images in the boxes artwork and the actual models at exhibition. Hence I have listed below the names of the sets as written in the mockups, and inside parenthesis also the names we have been reading in some other early descriptions. Again, I can't be sure the indicated part count numbers are correct (at least one of them is obviously wrong), or just fillers/early estimates. At least they may give you some relative size indication. No part count indicated for this set, as it was the one that I found obviously wrong (442...). This is the smallest set, a Chinook helicopter, in blue and white colors. It uses six 99012 small rotor blades (3 in each rotor). Instead of the need to swirl the rotors manually and since there are two of them, there is a knob in the back to make them rotate simultaneously, for which they are obviously geared together. No new parts in this one, that I was able to find. And that's all about this new model and functions. Together with the pull-backs this is amongst the second smaller sets. The predominant colors are lime and black, it is a smaller version from the older 8272 released in 2007, and it uses the smaller 3873 wide tread links (black version). In what regards new elements, it is the one and only one set using all the new steering elements described above (all the three: new arm, connector and gear). As a small set, the functions resume to the manual steering on the handlebar, suspension and tread rolling. This is a classic hot rod vehicle with a 6 piston engine in the front. Probably its most noticeable aspect is the dominant color, where we get some Technic beams and panels in Medium Blue color. We haven't seen this color in Technic sets for years, and by then only in a small set of parts and fewer sets. In the model I've seen, it had 44309 tires (43.2 x 22 ZR) at front, and the new tires in the rear axle. Although the box and catalog images show the first ones at all wheels. Probably because they're preliminary images, but can't be sure about what we will get in the end (someone may have misplaced the tires in the model). The box has some space in the upper-right corner, reserved for a new "marketing campaign" (3D Build In), which means there will be available 3D media building instructions for iPad and Android tablets. Such media files should be read on App Store and Google Play apps, based on Autodesk Inventor Publisher, like we have seen on the new 31313 MINDSTROMS EV3 [3, 4]. A more than expected movement I'd say! I was told this was going to be also available for the other models (at least the B-models), but can't be sure whether this is a correct statement, as there weren't such references in the preliminary boxes. Although the dealer's catalog have a mention to "digital media support to strengthen the experience". No new parts that I've noticed in this model too. This is a quite innovative set for the LEGO Technic theme, as it features several vehicles/machines in one single box, that could be played together in one construction scenario. Somehow it reminds me the old Universal Sets, although with an obvious different concept. One Red Excavator (looks close to the old 8294 from 2008, in a smaller and simplified version). One Yellow Front Loader with articulated steering. Similar to 8453 from 2003. One Blue/LBG Dump Truck similar to 8052 (at least in the color scheme), but smaller and the tipper does not get-off the chassis. The cab is American style (blue big rig shape cab) and LBG tipper. Excavator: 1 knob to rotate the upper structure (geared), 1 knob to lower/raise the boom and one lever to manually articulate the dipper arm plus bucket. Front Loader: 1 knob for the articulate steering, another one in the rear to raise/lower the front arm and a lever to move the shovel in a nice articulated solution. Dump Truck: 1 HoG wheel on top of the cabin for steering and one knob to dump the tipper which has a dump rear door. All the vehicles are about 9 studs wide. The box for this set has a new "logo" which states '3X models' and no '2 in 1' like the other boxes. Presumably there are no "B-models" for this box. Here an interesting challenge for you, to try to come out with some alternative models for this set. This is the largest set for the January releases. It has an European style Skip Truck with an yellow cab (13 wide plus the mudguard beams - 15 wide overall at the wheels), DBG bumper and black front grill. The rear chassis and and lifting arms come in red, and the skip in blue. It has 6 wheels with the new tires mentioned above and a two-function switch box to control the the skipping functions. With the yellow lever at one position, the knob on the other side controls the rear outriggers with one small LA (similar principle as used in the 42008 Service Truck, but flat feet instead of panel "blades"), and at the other position it rotates the lifting arms via two large LAs. There is an automated mechanism the locks the skip when the rear outriggers are raised and then it dumps the rubbish, and when the outriggers are lowered the lift arms unload the skip out of the truck. A very smart and well done mechanism, indeed! The skip is tied to the lifting arms with some pearl dark gray Bionicle chain links (53551). This set can be upgraded and functions motorized, with supplemental Motor Set 8293. These use the same pull back motor released in 2013 with 42010 and 42011. This is a sleek and nice Black/Orange F1 car, in a small and pull back version. Despite the catalog shows a couple of long rigid 3mm hoses to make the apperance of the smooth cockpit and front nose curves, the real model has a couple of nice black soft axles... For some time I believed to be in the presence of the so much desired and rare 19L soft axles return. Although then I decided to take one axle apart and measure it, jut to make sure... and they're 16L instead!!... However they were never released in this color/length combination before, which constitutes an even bigger advantage of this release. Seen form the underside, this model also looks fantastic because of the way the Designer have used some black panels. It really mimics the aerodynamic ground effect used in sport cars (F1 in particular) to create a down force. Also no new parts that I found in this model, although it comes with some really nice stickers (which are present in all 1H14 sets from the Technic assortment, except presumably the last one below) with a fantastic silver light or chrome effect. This is another pull back racer with an off road look, and lime color. It has a manual front winch and ofc the pull back function. It was not indicated whether both pull back models could be combined in one single and larger model, from official building instructions provided by TLG, like with their ancestors from 2013. Usually such information comes in the rear side of the boxes, but the mockups currently available still didn't have the artwork for the rear side, and consequently no information about the B-models, for these and any other new sets. This is the largest set for the season and as usual it is planned for general availability in March. Probably it will appear about one month earlier, at Argos or some other large retailer as an exclusive launch, like it has been the case in the past 3-4 years. This is a large bi-motor cargo aircraft with about 70 studs wing span, for you to get an idea of the dimensions. It is mostly white, with just the vertical rear stabilizer and rudder (not functional, I think) colored blue. The rotors in the motors use the same blades (99012) as in the Chinook. This set will be a bit more expensive than its counterpart in 2013 (The 42000 Grand Prix Racer), as it will come with motorization out-of-the-box (one PF M-motor and the respective Battery Box). Motorized landing gear. Guess this is valid for the front and rear landing gears. For the rear ones there are some fairing panels which cover/uncover the wheels, although I don't know whether these also raise/lower, or if it is only the fairings that move up and down. Motorized front cargo bay - The whole plane cockpit moves upwards, giving access to the interior cargo bay. One mini-LA is in charge here. Motorized rear cargo bay - A descent 5 x 11 panel like in the 9396 Helicopter. Another mini-LA is also in charge here. The flaps and ailerons move manually, although not sure whether they move independently (guess they do) - Several black knob wheels (32072) in use to make these functions work. Don't know whether the elevators also move, but guess not. We can see several red levers (4 of them) on top of the fuselage and behind the wings, which I presume to be there to control the switch box (likely two of them) and to move the flaps/ailerons (likely another two of them). And... here we get the new 3 x 11 Technic panels. Six of them at least, in white ofc!! Again a reference in the catalog to "New internet page and digital media for additional support" - Probably also a reference to 3D building instructions being available soon. Still I don't think the paper building instruction booklets will disappear for the main models, at least in the next few coming years. I maybe adding new details to this post as you raise questions, if I remember further details to answer or clarify your questions. Thank for such detailed information! What is full length of new Steering arm with rounded towball socket? Is it opssible to make narrower suspensioned axles with these new parts? I mean narrower than in 8081 for example. It is 5L! One stud less than 57515. Which is equivalent to the older 6572 element, although 1L wide only. Then yes, it should be possible to do it narrower. There's another detail: while the other boxes show the usual "2 in 1" stamp, the Construction Crew's box instead has "3 models" or something like that (I don't remember), so that might mean this set has no B-model(s). I thought about including that information, but in the end it was forgotten. The 42023 box, has a logo with "3X models" and no "2 in 1". Presumably there are no "B-models" for this box. Will add this information to the original post.